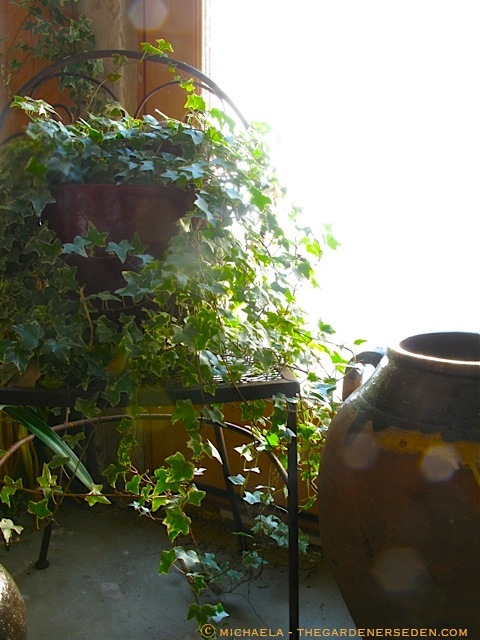 § 3 Responses to Indoor Eden: Simple,Verdant Beauty… Twisting & Twining English Ivy"
Repeat the soap/oil spray every 3-5 days (to kill newly hatched mite) for at least a month. Keep an eye on it thereafter –checking with a magnifying glass beneath the leaves. I’ve been using this remedy for a long time and it’s quite good. Let me know how it goes. 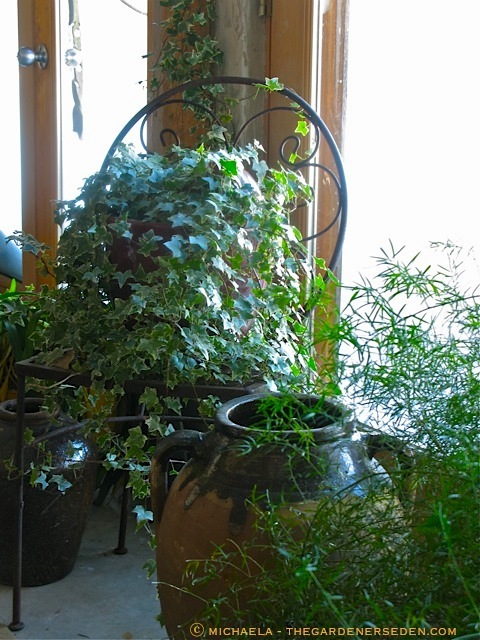 Hi Michaela, Ivy is my first ever and still favourite houseplant. The love affair started decades ago when I was flower girl in my Aunt’s wedding. It was the fashion then to have greenery in the bridal bouquet and everyone in the wedding party was given a sprig of her ivy to keep for good luck. 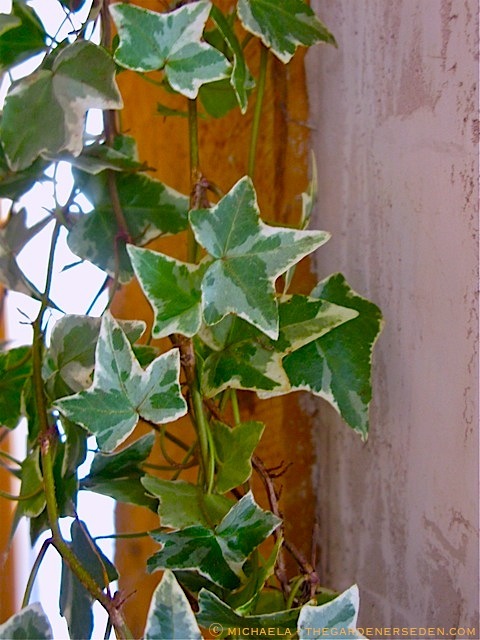 I still remember the excitement of that day when I look at my ivy. Thanks for stirring the memories once again. 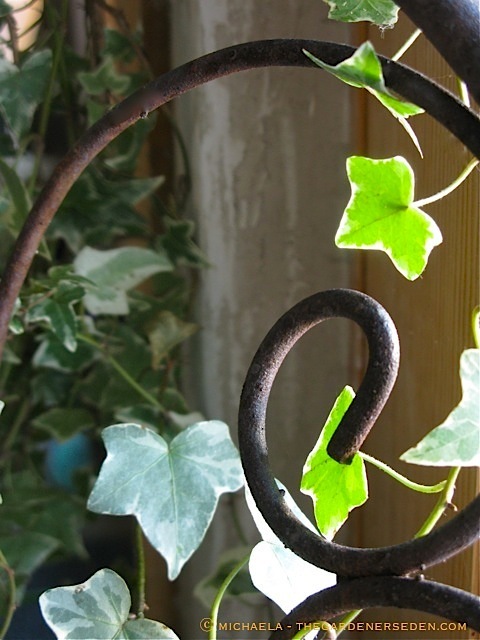 xo D.
You are currently reading Indoor Eden: Simple,Verdant Beauty… Twisting & Twining English Ivy at The Gardener's Eden.